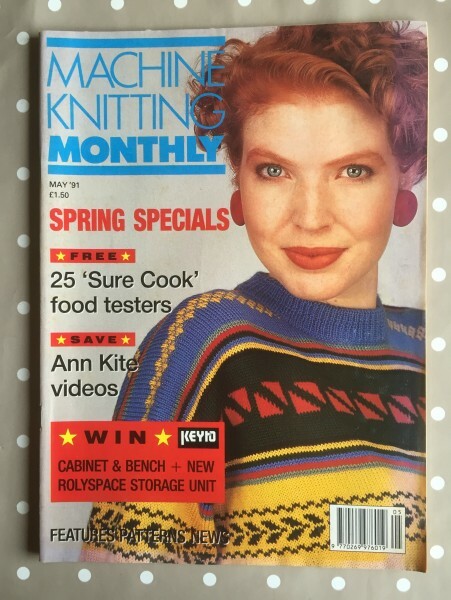 Machine Knitting Monthly magazine. In good condition for its age, it may have some creasing on the cover and yellowing on the edges of the pages. Lots of helpful articles, hints, expert advice, and patterns for any machine knitter.